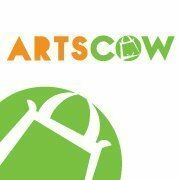 Artscow is new to by-the-yard fabric printing, but they've been doing all-over-print clothing for many years. I've never had an issue with the print quality (ink saturation or crispness). I don't have weight specs for these fabrics (yet). All are 56" wide. Continuous pieces only up to 5 yards. Fat quarters are available HERE and swatches HERE. A $3 swatch kit is available HERE with free shipping.